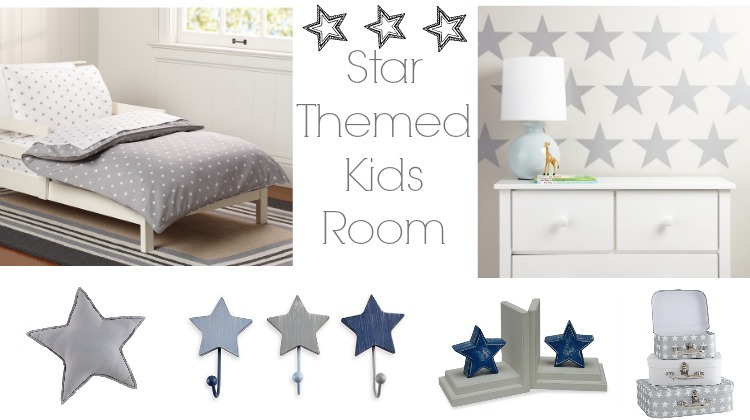 Star light, star bright… this star themed kids room works for both a boy or a girl and makes for the perfect room to grow as your child does. 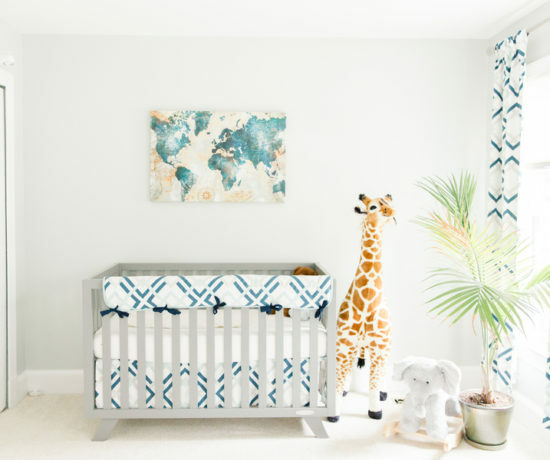 Starting off with simple decor elements like star sheets and star decals means you can them customize the room around those things. 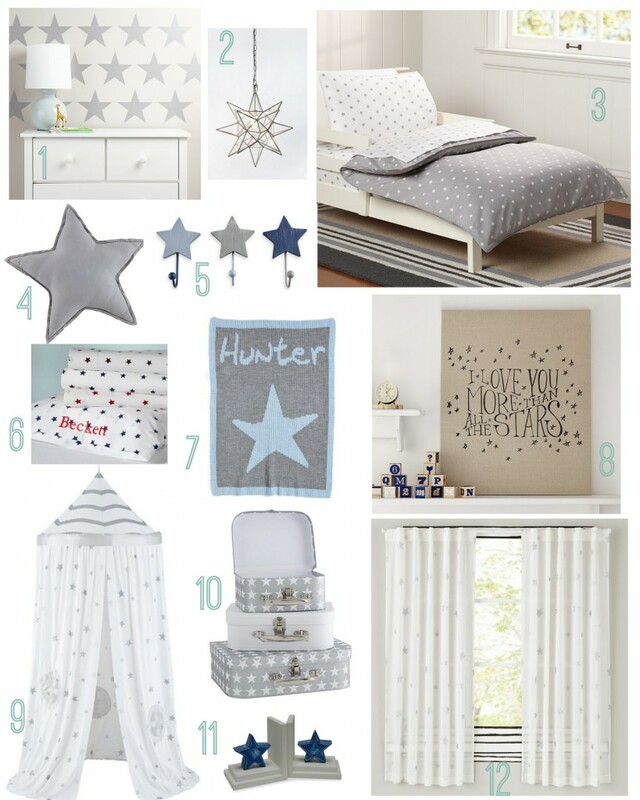 We decided to go with a silver color star in large part because then either a blue or a pink color could be worked in to make it more gender specific. 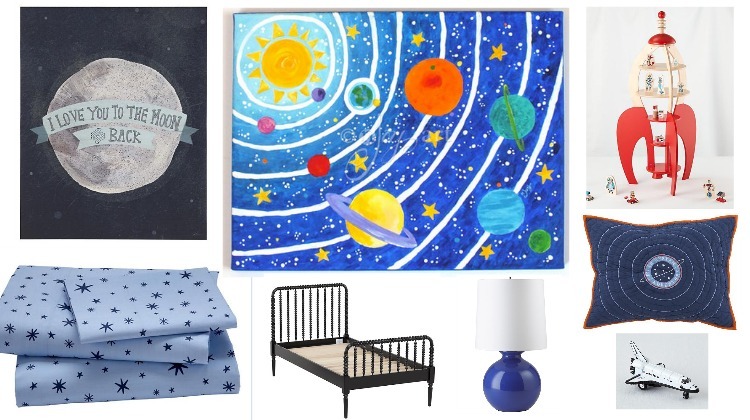 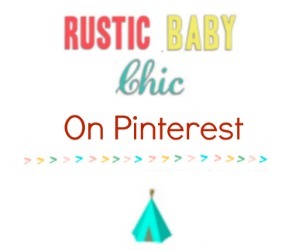 See all of our rustic kids bedroom ideas.